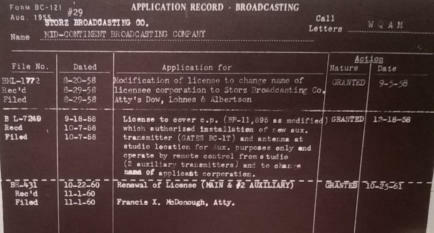 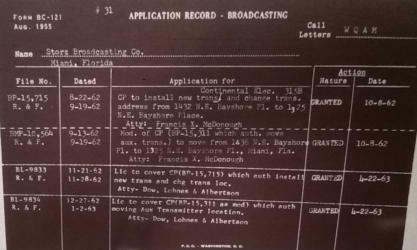 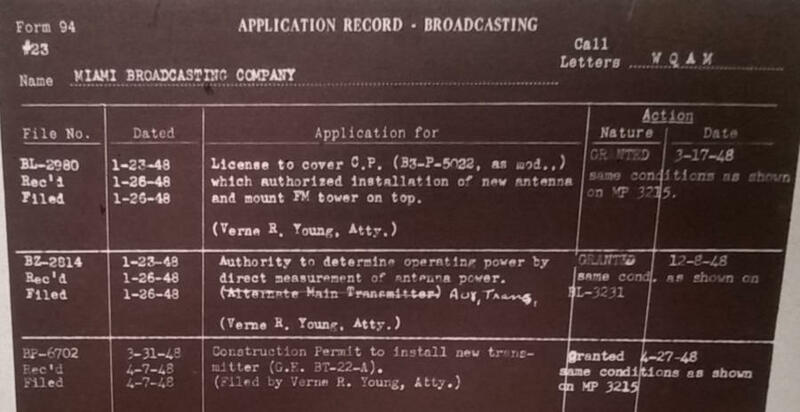 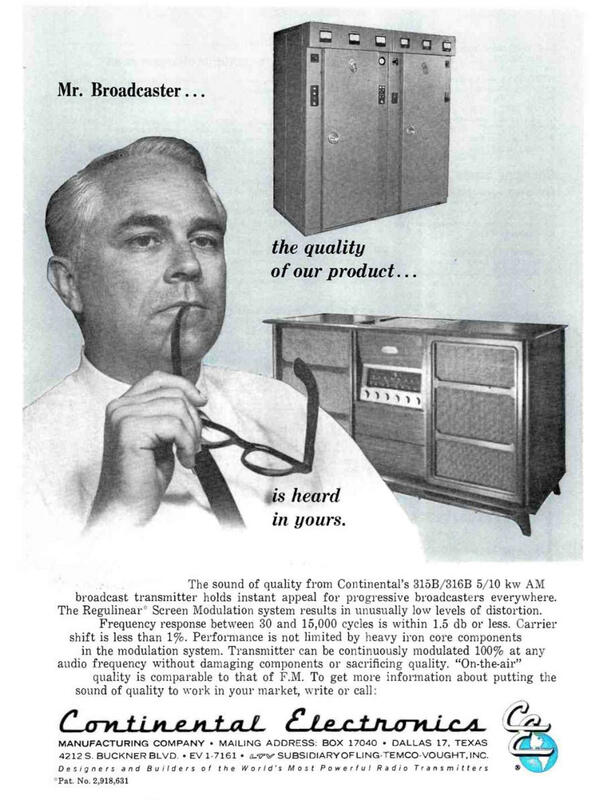 In 1948 WQAM applied to the FCC for a new transmitter, a General Electric 5000 watt BT-22-A. That, along with the new tower in Biscayne Bay and a move of the studios to the duPont Building with all new equipment sets the stage for the studios and equipment that will be used by Storz when it purchases WQAM in 1956. 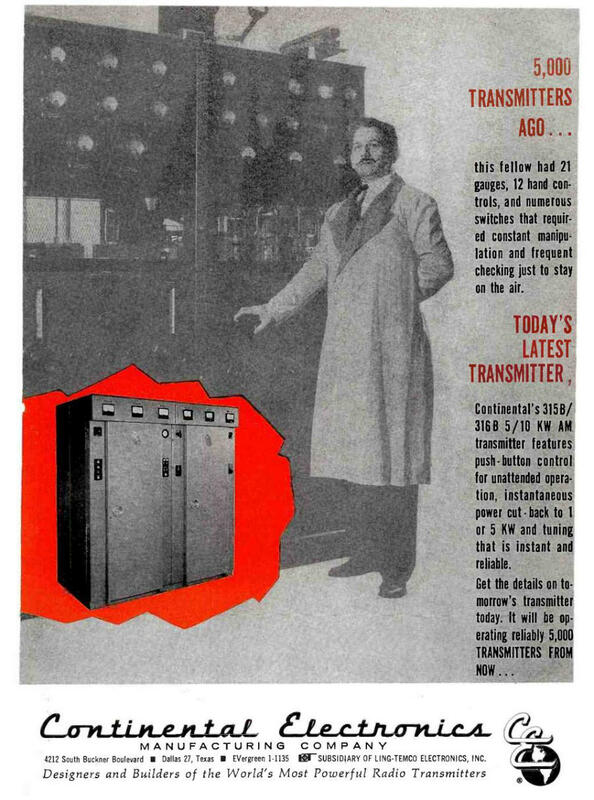 The transmitter was located at 1425 NE Bay Shore Court. 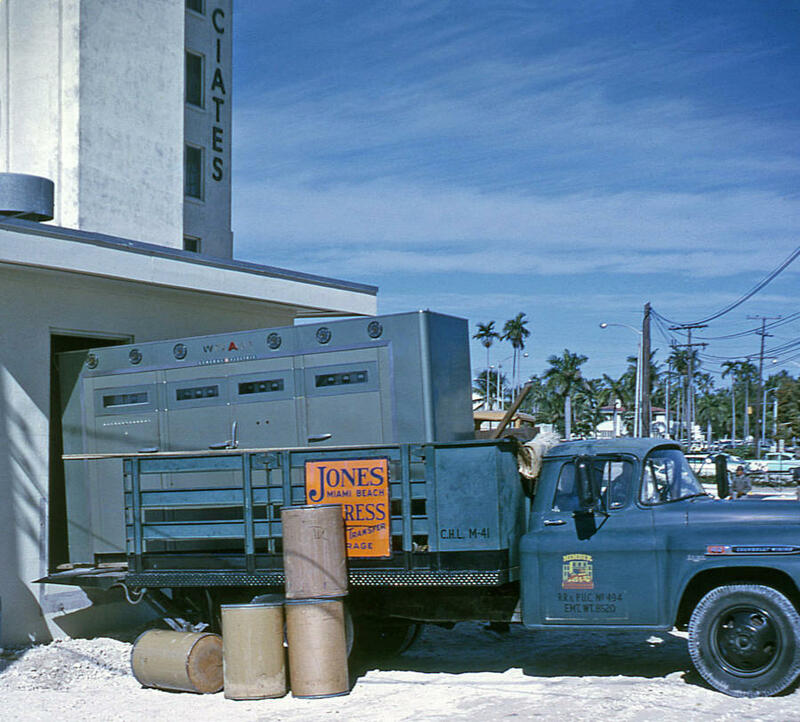 This was the land on Biscayne Bay between the Venetian and MacArthur Causeways on which the Miami Herald Building would be built in 1961-1962. 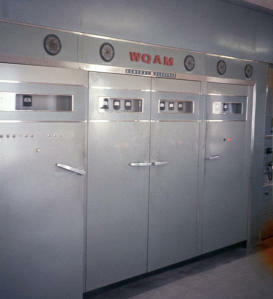 While the building was under construction, the WQAM transmitter had to be moved to a temporary location. After the Herald Building was completed, WQAM was given dedicated space in the new building for its transmitters, a new CE 315B and back-up Gates BC-1T, auxiliary power and other equipment. 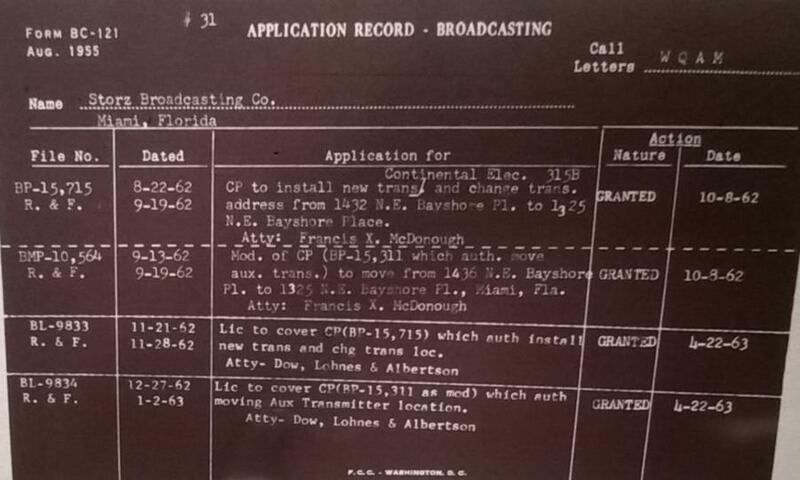 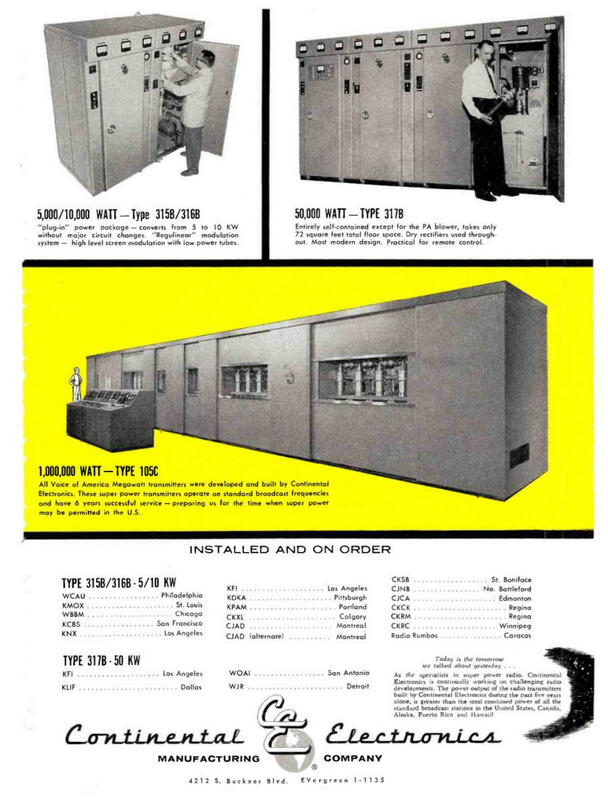 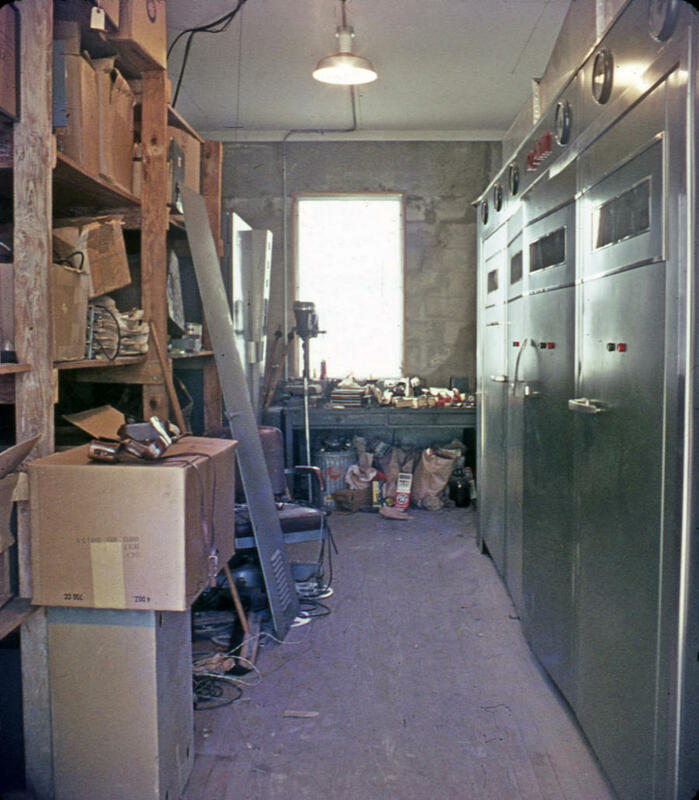 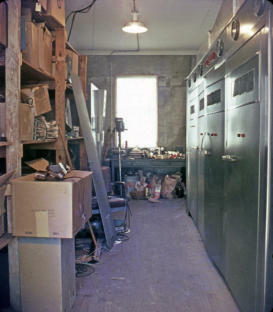 I believe the pictures below show the GE transmitter in the original WQAM transmitter building, the transmitter in the temporary (unknown) location and being delivered to or removed from the temporary location while the Miami Herald Building was under construction. 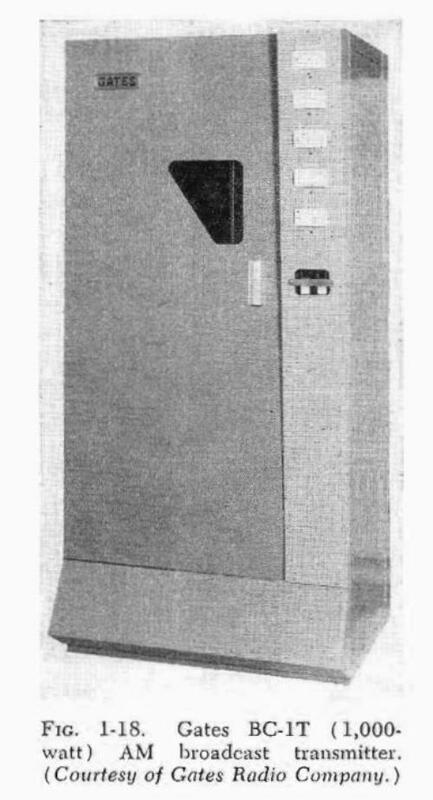 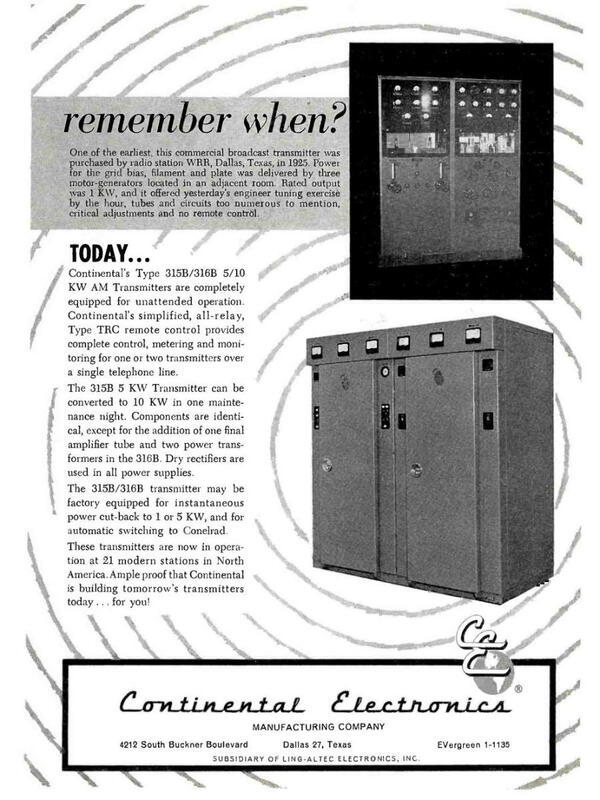 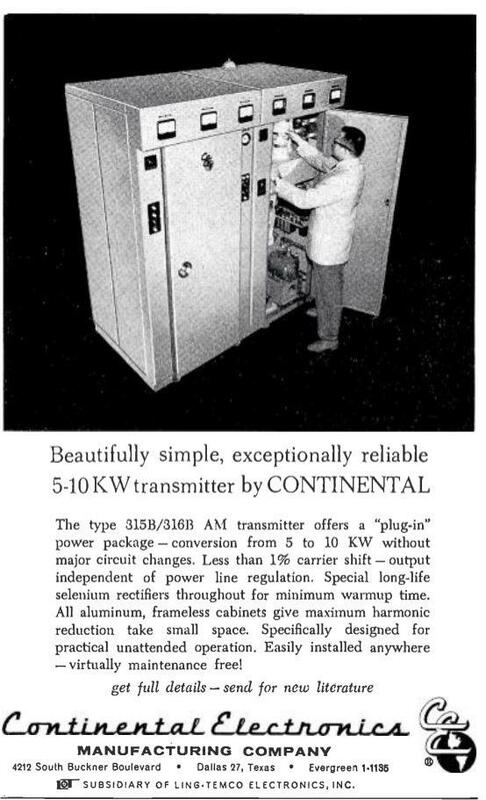 A Continental Electronics 315B 5000 watt transmitter replaced the GE transmitter when the equipment was moved to the new Miami Herald building at 1325 NE Bay Shore Place in 1962. I do not have any photos of the CE 315B or the Gates BC-1T back-up transmitter or other equipment in the Miami Herald Building. 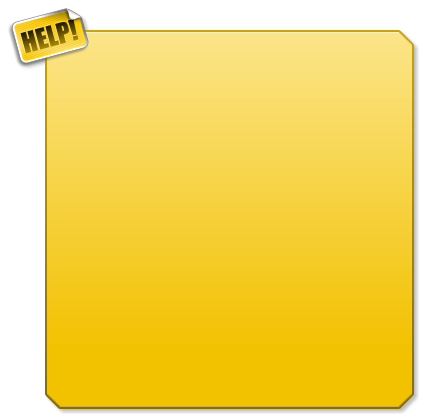 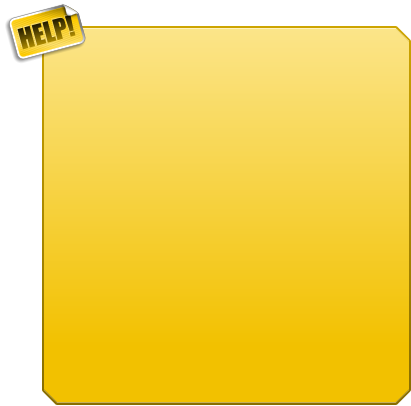 Below are pictures of the FCC Applications for their installation and what they should look like . 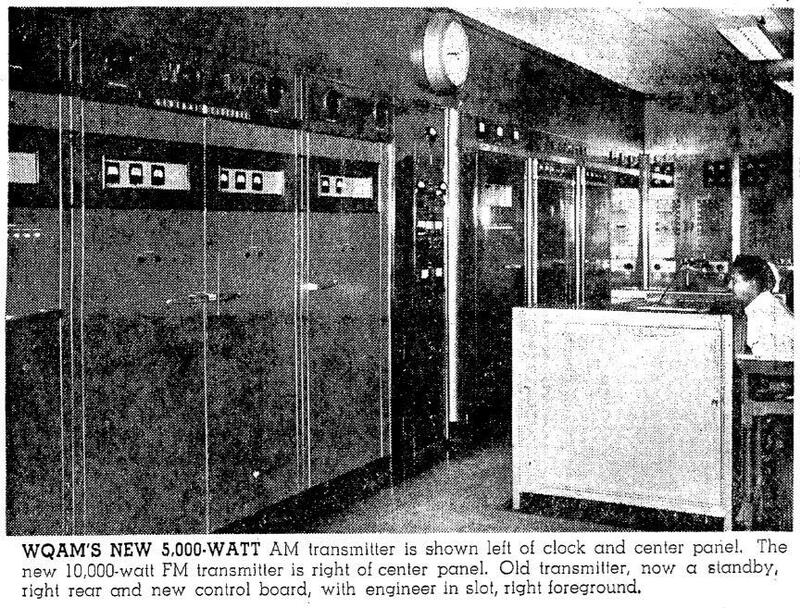 A Continental Electronics 315B 5000 watt transmitter replaced the GE transmitter when the equipment was moved to the new Miami Herald building at 1325 NE Bay Shore Place in 1962. 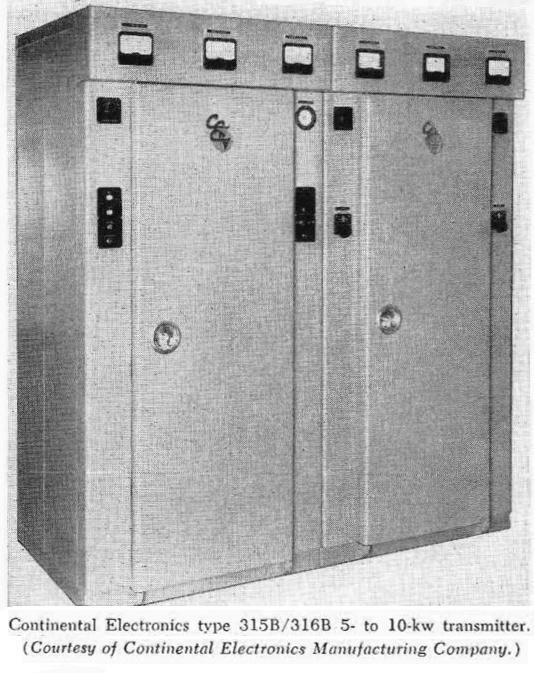 I do not have any photos of the CE 315B or the Gates BC-1T back- up transmitter or other equipment in the Miami Herald Building. 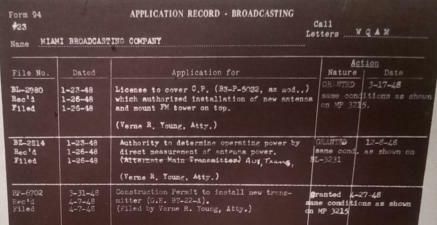 Below are pictures of the FCC Applications for their installation and what they should look like .